"Safety as a value" inscribed on a bench at a coal mine in Colorado. Safety culture is the attitude, beliefs, perceptions and values that employees share in relation to safety in the workplace. Safety culture is a part of organizational culture, and has been described by the phrase "the way we do things around here". Studies have found that workplace related disasters are a result of a breakdown in an organization’s policies and procedures that were established to deal with safety, and that the breakdown flows from inadequate attention being paid to safety issues. A good safety culture can be promoted by senior management commitment to safety, realistic practices for handling hazards, continuous organisational learning, and care and concern for hazards shared across the workforce. "That assembly of characteristics and attitudes in organizations and individuals which establishes that, as an overriding priority, nuclear plant safety issues receive the attention warranted by their significance." Since then, a number of definitions of safety culture have been published. The U.K. Health and Safety Commission developed one of the most commonly used definitions of safety culture: "The product of individual and group values, attitudes, perceptions, competencies, and patterns of behaviour that determine the commitment to, and the style and proficiency of, an organisation’s health and safety management". "Organisations with a positive safety culture are characterized by communications founded on mutual trust, by shared perceptions of the importance of safety and by confidence in the efficacy of preventive measures." 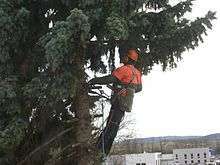 ... doing a job with inadequate safety equipment is a more certain indicator of a poor safety culture .. The Cullen Report into the Ladbroke Grove rail crash saw safety culture as "the way we typically do things around here"; this would imply that every organisation has a safety culture – just some a better one than others. The concept of 'safety culture' originally arose in connection with major organisational accidents, where it provides a crucial insight into how multiple organisational barriers against such accidents can be simultaneously ineffective: "With each disaster that occurs our knowledge of the factors which make organisations vulnerable to failures has grown. It has become clear that such vulnerability does not originate from just ‘human error’, chance environmental factors or technological failures alone. Rather, it is the ingrained organisational policies and standards which have repeatedly been shown to predate the catastrophe." However it is now also applied (with less certain validity) to individual accidents, and hence has come to relate to a full range of safety behaviors from the wearing of PPE (or not), the quality of delivery of a tool box talk, the quality of shopfloor response to fault conditions – or (what is frequently the main concern for major accidents) the extent to which safety considerations influence high level meetings and management decisions. A new starter or recently arrived sub contractor will soon pick up what the local norms are and be heavily influenced by them. If a tipping point of around 90% compliance is observed then these individuals will be highly likely to comply too – but if these individuals observe a 50:50 split then they may feel they have free choice as whatever they do they won't stand out. The safety culture of an organization and its safety management system are closely related, but the relationship is not simply that the safety culture complies with the formal safety management system The safety culture of an organization cannot be created or changed overnight; it develops over time as a result of history, work environment, the workforce, health and safety practices, and management leadership: "Organizations, like organisms, adapt". An organization’s safety culture is ultimately reflected in the way safety is addressed in its workplaces (whether boardroom or shopfloor). In reality an organization's safety management system is not a set of policies and procedures on a bookshelf, but how those policies and procedures are implemented into the workplace, which will be influenced by the safety culture of the organization or workplace. The UK HSE notes that safety culture is not just (nor even most significantly) an issue of shopfloor worker attitudes and behaviours "Many companies talk about ‘safety culture’ when referring to the inclination of their employees to comply with rules or act safety or unsafely. However we find that the culture and style of management is even more significant, for example a natural, unconscious bias for production over safety, or a tendency to focussing on the short-term and being highly reactive." Since the 1980s there has been a large amount of research into safety culture. However the concept remains largely "ill defined". Within the literature there are a number of varying definitions of safety culture with arguments for and against the concept. Two of the most prominent and most-commonly used definitions are those given above from the International Atomic Energy Agency (IAEA) and from the UK Health and Safety Commission (HSC). However, there are some common characteristics shared by other definitions. Some characteristics associated with safety culture include the incorporation of beliefs, values and attitudes. A critical feature of safety culture is that it is shared by a group. When defining safety culture some authors focus on attitudes, where others see safety culture being expressed through behaviours and activities. The safety culture of an organization can be a critical influence on human performance in safety-related tasks and hence on the safety performance of the organization. Many proprietary and academic methods claim to assess safety culture, but few have been validated against actual safety performance. The vast majority of surveys examine key issues such as leadership, involvement, commitment, communication, and incident reporting. Some safety culture maturity tools are used in focus group exercises, though few of these (even the most popular) have been examined against company incident rates. ‘Profit before safety’, where productivity always came before safety, as safety was viewed as a cost, not an investment. ‘Fear’, so that problems remained hidden as they are driven underground by those trying to avoid sanctions or reprimands. ‘Ineffective leadership’, where blinkered leadership and the prevailing corporate culture prevented the recognition of risks and opportunities leading to wrong safety decisions being made at the wrong time, for the wrong reasons. ‘Non-compliance’ to standards, rules and procedures by managers and the workforce. ‘Miscommunication’, where critical safety information had not been relayed to decision-makers and/ or the message had been diluted. ‘Competency failures’, where there were false expectations that direct hires and contractors were highly trained and competent. Ignoring ‘lessons learned’, where safety critical information was not extracted, shared or enforced. If one of these features of a broken safety culture is present in a company, it signals there are opportunities for change. If three or more, they should be addressed with the utmost urgency, as the potential for an incident increases exponentially with the number of broken safety culture features the company has. Reason:294 considers an ideal safety culture "the ‘engine’ that drives the system towards the goal of sustaining the maximum resistance towards its operational hazards" regardless of current commercial concerns or leadership style. This requires a constant high level of respect for anything that might defeat safety systems and ‘not forgetting to be afraid’. Complex systems with defence-in-depth (such as would be expected for a major hazard plant) become opaque to most if not all of their managers and operators. Their design should ensure that no single failure will lead to an accident, or even to a revealed near-miss, and there are no timely reminders to be afraid. For such systems, Reason argues, there is an ‘absence of sufficient accidents to steer by’ and the desired state of ‘intelligent and respectful wariness’ will be lost unless sustained by the collection, analysis and dissemination of knowledge from incidents and revealed near misses. It is very dangerous to think that an organization is safe because no information is saying otherwise, but it is also very easy. An organisation that underestimates danger will be insufficiently concerned about poor working conditions, poor working practices, poor equipment reliability, and even identified deficiencies in the defences-in-depth: the plant is still safe ‘by massive margins’, so why rock the boat? Hence, without conscious efforts to prevent it, complex systems with major hazards are both particularly vulnerable to (and particularly prone to develop) a poor safety culture. E. Scott Geller has written of a "total safety culture" (TSC) achieved through implementing applied behavioral techniques. Over the years, a lot of attention has focused on the causes of occupational incidents. When incidents occur in the workplace it is important to understand what factors (human, technical, organizational) may have contributed to the outcome in order to avoid similar incidents in the future. Through developing an understanding of why and how incidents occur, appropriate methods for incident prevention can be developed (Williamson and Feyer 2002). In the past, improvement in workplace safety or in the control of workplace risks has come about through the provision of safer machinery or processes, the better training of employees, and the introduction of formal safety management systems. Consequently (some argue) in a workplace that has benefited from these improvements, many of the residual workplace accidents result from operator error — one or more operators doing a job differently from the safe way they were trained to. Hence, there is now a move to apply the concept of safety culture at the individual level; worker behaviour is influenced by the safety culture of an organization, so safety culture could affect the worker injury rate. Although the overall culture of an organization may affect the behaviour of employees, much research has focused on the effect of more localised factors (i.e. supervisors, interpretation of safety policies) in the specific culture of individual workplaces, leading to the concept of a "Local safety climate, which is more susceptible to transition and change". :367 This would also suggest that safety climate operates on a different level than safety culture. Mearns et al. note that although safety culture was a concept originally used to describe the inadequacies of safety management that result in major disasters, that the concept is now being applied to explain accidents at the individual level, although as they emphasize, "The validity of the safety culture concept with regard to individual accidents is yet to be ascertained." (p. 643). Only two of those factors fall within a management system, and leadership as well as management is necessary. Several papers (e.g., for the UK offshore oil industry -Mearns et al. (2000)) have sought to identify specific safety management practices that predict (conventional) safety performance. Shannon (1998) gives details of many reported surveys in Canada and the US and reports the conclusions of Shannon et al. (1997). reviewing them. Variables consistently related to lower injury rates included both those specified by a safety management system and purely cultural factors. Control of major accident hazards requires a specific focus on process-safety management over and above conventional safety management, and Anderson (2004) has expressed concern at the implications for management of major hazards of the extension of the "safety culture" concept to justify behavioural safety initiatives to reduce injury (or lost-time accident) rates by improving safety culture. He argues that "loss of containment" rates on major hazard sites give a good indication of how well the major accident risks are managed; UK studies show no significant correlation with "lost time accident" rates. Furthermore, behavioural safety has come to be targeted on reducing the propensity for error of front line staff by getting them to be more careful; UK studies have shown that the vast majority of frontline errors are not free-standing, but are triggered by preceding errors by more senior grades. (In a study of over 700 loss-of-containment events in the 1990s - of 110 incidents due to maintenance, only 17 were due to a failure to ensure that planned maintenance procedures were followed: 93 were due to a failure by the organisation to provide adequate maintenance procedures. Under 6% of incidents were due to front-line personnel deliberately not following procedures.). There can be no objection to behavioural safety initiatives to reduce the rate of lost-time accidents, provided that they do not divert effort from the management of major hazards and that a low lost-time accident rate does not give rise to unwarranted complacency about the major hazard. ↑ Cox, S. & Cox, T. (1991) The structure of employee attitudes to safety - a European example Work and Stress, 5, 93 - 106. ↑ ZCBI (1991) Developing a Safety Culture., Confederation of British Industry, London. ↑ Flin, R., Mearns, K., O'Conner, P. & Bryden, R. (2000) Measuring safety Climate: Identifying the common features Safety Science 34, 177 - 192. 1 2 HSC (Health And Safety Commission), 1993. Third report: organising for safety. ACSNI Study Group on Human Factors. HMSO, London. 1 2 3 Reason, J. (1998) Achieving a safe culture: theory and practice Work and Stress, 12, 293-306. ↑ Kennedy, R. & Kirwan, B., (1995) The failure mechanisms of safety culture. In: Carnino, A. and Weimann, G., Editors, 1995. Proceedings of the International Topical Meeting on Safety Culture in Nuclear Installations, American Nuclear Society of Austria, Vienna, pp. 281–290. ↑ Guldenmund, F. W. (2000) The nature of safety culture: a review of theory and research Safety Science, 34, 215-257. 1 2 Yule, S. (2003) Safety culture and safety climate: a review of the literature. Industrial Psychology Research Centre 1-26. 1 2 3 Glendon, A. I., Clarke, S. G. & McKenna, E. F. (2006) Human Safety and Risk Management, Florida, CRC Press. 1 2 3 Mearns, K., Whitaker, S. M. & Flin, R. (2003) Safety Climate, safety management practice and safety performance in offshore environments Safety Science, 41, 641-680. 1 2 Cullen, W.D., 1990. The Public Inquiry into the Piper Alpha Disaster. HMSO, London. ↑ Reason, J. (1990) The contribution of latent human failures to the breakdown of complex systems. Philosophical Transactions of the Royal Society Series B 327, pp. 475–484. ↑ Glendon, A. Ian; Clarke, Sharon; McKenna, Eugene (2006). Human Safety and Risk Management, Second Edition (2 ed.). CRC Press. p. 370. ISBN 9781420004687. Retrieved 2015-08-02. Geller (1991, 1994) proposed the concept of total safety culture (TSC), which is based on a behavioral approach to safety. This concept emphasizes achieving TSC status through implementing applied behavioral techniques. ↑ Haslam, R. A., Hide, S. A., Gibb, A. G. F., Gyi, D. E., Pavitt, T., Atkinson, S. & Duff, A. R. (2004) Contributing factors in construction accidents Applied Ergonomics 36, 401-415. ↑ HSE Human Factors Briefing Note No. 7 Safety Culture at "Organisational Culture". Health And Safety Executive. Retrieved 10 April 2015. ↑ Shannon, Harry (1998). Firm level organizational practices. A report to the Royal Commission on Workers' Compensation in British Columbia. Toronto: Institute for Work and Health. Retrieved 11 April 2015. ↑ Shannon, H. S., Mayr, J. & Haines, T. (1997) Overview of the relationship between organizational and workplace factors and injury rates Safety Science, 26, 201-217. 1 2 Anderson, M (2004). Behavioural safety and major accident hazards: Magic bullet or shot in the dark? in Conference Proceedings, Hazards XVIII Symposium, 24 November 2004. (PDF). Manchester: IChemE/UMIST. Retrieved 10 April 2015. Antonsen, S (2009). Safety Culture: Theory, Method and Improvement. Ashgate. Brown, R. L. & Holmes, H. (1986) The use of a factor- analytic procedure for assessing the validity of an employee safety climate model Accident Analysis and Prevention, 18, 455 - 470. CBI (1991) Developing a Safety Culture., Confederation of British Industry, London. Clarke, S. (1999) Perceptions of Organizational safety: implications for the development of safety culture. Journal of Organizational Behaviour, 20, 185 - 198. Clarke, S. (2003) Safety Climate in an automobile manufacturing plant: the effects of work environment, job communication and safety attitudes on accidents and unsafe behaviour Automobile manufacturing plant 35, 413 - 430. Clarke, S. & WARD, K. (2006) The role of leader influence, tactics and safety climate in engaging Employees' safety participation Risk Analysis, 26, 1175 - 1186.
Cooper, M. D. (2000) Towards a model of safety culture. Safety Science 36 111- 136.
Cooper, M.D. (2002) 'Safety Culture: A model for understanding and quantifying a difficult concept'.Professional Safety, June, 30-36.
Cooper, M.D. (2008) 'Risk-Weighted Safety Culture Profiling'. 2008 SPE International Conference on Health, Safety & Environment in Oil & Gas Exploration and Production held in Nice, France 15–17 April 2008.
Cooper, M.D. & Findley, L.J. (2013). 'Strategic Safety Culture Roadmap'. BSMS Inc. Franklin, IN, USA. Cooper, M.D. & Phillips, R.A. (2004). 'Exploratory Analysis of the Safety Climate and Safety Behavior Relationship'. Journal of Safety Research,35, 497– 512. Desai, V. M., Roberts, K. H. & Ciavarelli, A. P. (2006) The relationship between safety climate and recent Accidents: Behavioural learning and cognitive attributions Human Factors, 48, 639 - 650. Diaz, R. I. & Cabrera, D. D. (1997) Safety climate and attitude as evaluation measures of organizational safety. Accident Analysis and Prevention, 29, 643-650. Galloway, Shawn (2008) "The Legacy We Leave Behind" Safety Culture Excellence. Gillen, M., Baltz, D., Gassel, M., Kirsch, L. & Vaccaro, D. (2002) Perceived safety climate, job demands and co-worker support among union and non union injured construction workers Journal of Safety Research, 33, 33-51. Hofmann, D. A. & Stetzer, A. (1996) A cross-level investigation of factors influencing unsafe behaviours and accidents. Personnel Psychology, 49, 307-339. Hofmann, D. A. & Mark, B. (2006) An investigation of the relationship between safety climate and medication errors as well as other nurse patent outcomes Personnel Psychology, 59, 847-869. Hoivik, D., Baste, V., Brandsdal, E. & Moen, B. E. (2007) Associations between self reported working conditions and registered health and safety results. JDEM, 49, 139-147. HSC (Health and Safety Commission), 1993. Third report: organizing for safety. ACSNI Study Group on Human Factors. HMSO, London. Hudson, P. (2007) Implementing safety culture in a major multi-national. Safety Science, 45, 697-722. Lee, T. (1998) Assessment of safety culture at a Nuclear reprocessing plant Work and Safety, 12, 3, 217-237. Lingard, H. & Yesilyurt, Z. (2002) The effect of attitudes on the occupational safety action of Australian construction workers: the results of a field study. Journal of Construction Research, 4 59-69. Neal, A. & Griffin, M. A. (2002) Safety Climate and Safety Behaviour Australian Journal of Management 27, 67-78. Neal, A., Griffin, M. A. & Hart, P. M. (2000b) The impact of organizational climate on safety climate and individual behaviour Safety Science, 34, 99-109. Niskanen, T. (1994b) Safety Climate in the road administration Safety Science 17, 237-255. O'TOOLE, M. (2002) The relationship between employees' perceptions of safety and organizational culture Journal of Safety Research, 33, 231 - 234. Ostrom, L., Welhelmsen, C. & Kaplan, B. (1993) Assessing safety Culture. General safety considerations 34, 163-173. Parker, D., Lawrie, M. & Hudson, P. (2005) A framework for understanding the development of organisational safety culture Safety Science, 44, 551-562. Petersen, D. Authentic Involvement (2001, National Safety Council). Petersen, D. Human Error Reduction and Safety Management (1996, Van Nostrand Reinhold). Rundmo, T. (1992a) Risk perception and safety on offshore petroleum platforms - Par II: Perceived risk, job stress and accidents Safety Science 15, 53-68. Rundmo, T. (1992b) Risk perception and safety on offshore petroleum platforms - Part I: Perception of risk Safety Science, 15, 39-52. Rundmo, T. (1993) Occupational accidents and objective risk on North Sea offshore installations Safety Science, 17, 103-116. Rundmo, T. (1996) Associations Between risk perception and safety Safety Science 24, 107-209. Rundmo, T. (2000) Safety climate, attitudes and risk perception in Norsk Hydro Safety Science 34, 47-59. Rundmo, T. & HALE, A. R. (2003) Managers Attitudes towards safety and accident prevention Safety Science, 41, 557-574. Rundmo, T., Hestad, H. & Ulleberg, P. (1998) Organizational factors, safety attitudes and workload among offshore oil personnel Safety Science, 29, 75-87. Safety Culture Excellence© podcast. ProAct Safety, Inc.
Seo, D.-C., Torabi, M. R., Blair, E. H. & Ellis, N. T. (2004) A cross-validation of safety climate scale using confirmatory factor analytic approach Journal of Safety Research, 35, 427-445. Shannon, H. S., Mayr, J. & Haines, T. (1997) Overview of the relationship between organizational and workplace factors and injury rates Safety Science, 26, 201-217. Siu, O.-L., Phillips, D. R. & Leung, T.-W. (2002) Safety climate and safety performance among construction workers in Hong Kong The role of Psychological strain as mediators Accident Analysis and Prevention, 36, 359-366. Tomas, J. M., Melia, J. L. & Oliver, A. (1999) A cross-validation of structural equation model of accidents: organizational and psychological variables as predictors of work safety. Work and Stress, 13, 49-58. Varonen, U. & Mattila, M. (2000) The safety climate and its relationship to safety practices, safety of the work environment and occupational accidents in eight wood-processing companies Accident Analysis and Prevention, 32, 761-769. Waring, A.E., 1996. Safety Management Systems., Chapman & Hall, London. Williamson, A., Feyer, A.-M., Cairns, D. & Biancotti, D. (1997) The Development of a measure of safety climate: the role of safety perception and attitudes. Safety Science, 25, 15-27. Zohar, D. (1980) Safety Climate in industrial organizations: theoretical and applied Implications. Journal of Applied Psychology, 65, 96-102. Zohar, D. (2000) Safety climate Questionnaire. Facility of industrial engineering and management 1-5. Zohar, D. (2002) The effects of leadership dimensions, safety climate and assigned priorities on minor injuries in work groups Journal of Organizational Behavior, 23, 75-92. Zohar, D. & Luria, G. (2003) The use of supervisory practices as leverage to improve safety behavior: a cross-level intervention model Journal of Safety Research, 34, 567-577. Zohar, D. & Luria, G. (2004) Climate as a social- cognitive construction of supervisory safety practices: scripts as proxy of behavior patterns Journal of Applied Psychology, 82, 322-333.